All BLANCO BLUFFS homes currently listed for sale in San Antonio as of 04/26/2019 are shown below. You can change the search criteria at any time by pressing the 'Change Search' button below. 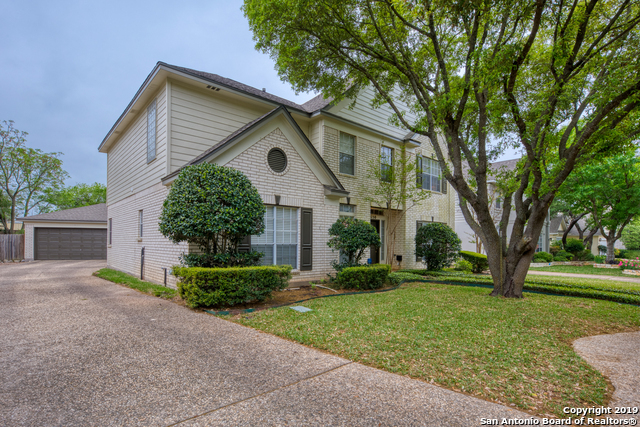 "Conveniently located near 1604 in prestigious and gated Blanco Bluffs! This former model offers almost 3000SF of updated elegance! Luxurious hardwood floors, newer carpet, granite counter-tops in the kitchen with a double island, cherry wood cabinetry, updated tile backsplash, extensive molding work, private study, not your average floorplan!! Oversized 2.5 car garage perfect for your cars or workshop! Yard is well-maintained with curb appeal in mind! Award-winning NEISD schools! YOU WILL BE IMP"